keytujd and RightYouAreKen like this. Not today, but I wear it almost every day. NikAlex, liverpoolreds8 and keytujd like this. stuffler,mike, Renisin and brainless like this. 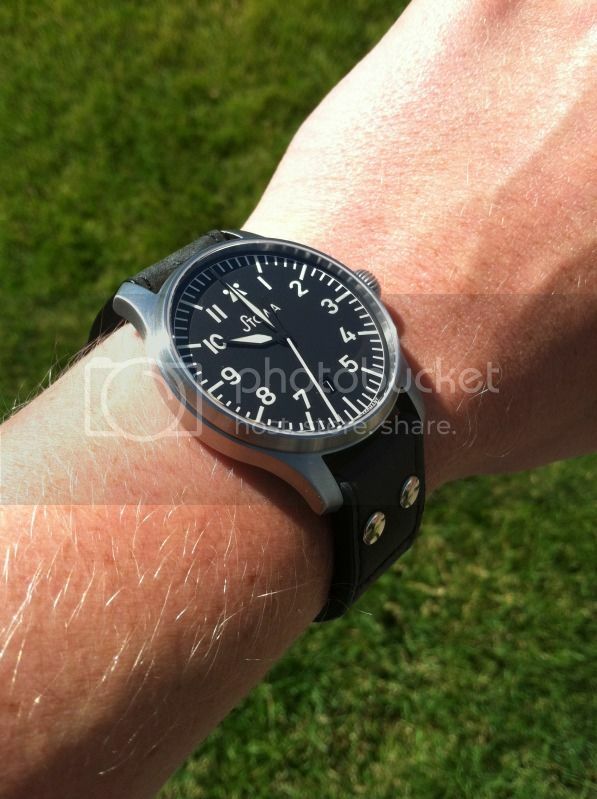 My new Flieger on a Hirsch strap. Have a couple of Toshi's being made up for me too. stuffler,mike and bhall41 like this. Love the blue hands, they make it stand out! harrym71 and s4027318 like this. great pictures guys! Keep em coming! 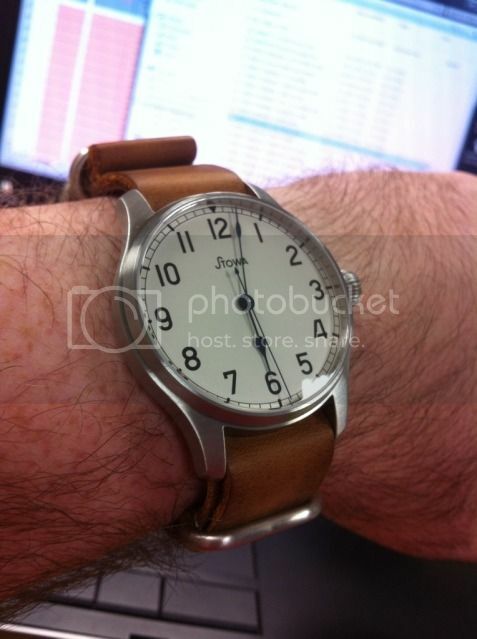 I am yet again convinced that no logo, no date is the best look on the Stowa Flieger! 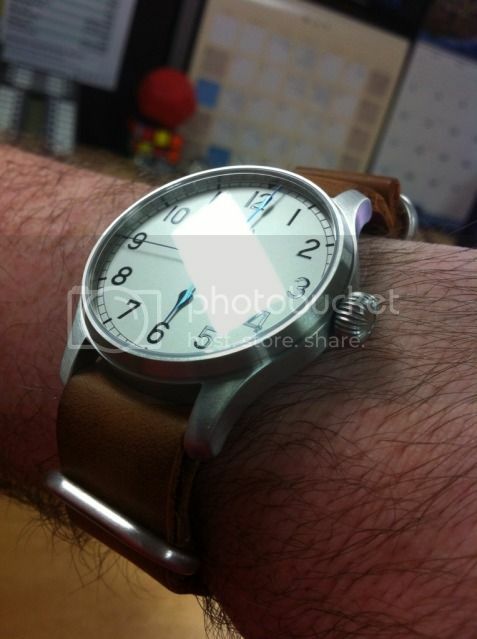 Can't wait for mine to arrive! Last edited by kwcross; June 7th, 2012 at 18:03.